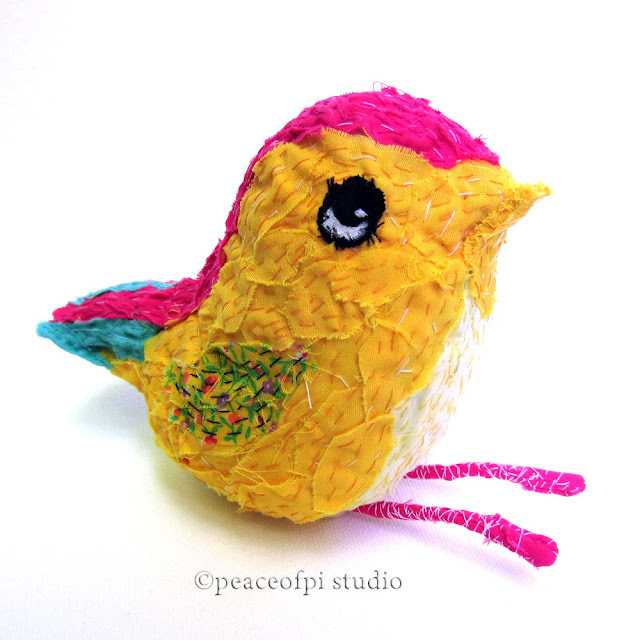 Burd is a soft sculpture with frayed fabric feathers. Simple hand sewing stitches secure each piece of tiny fabric in place and layers of uneven stitches round and round make the skinny fuchsia bird legs. Her sunny yellow body and pale yellow chest are accented by a bold fuchsia blaze running from the top of her bird head to the tip of her tail. 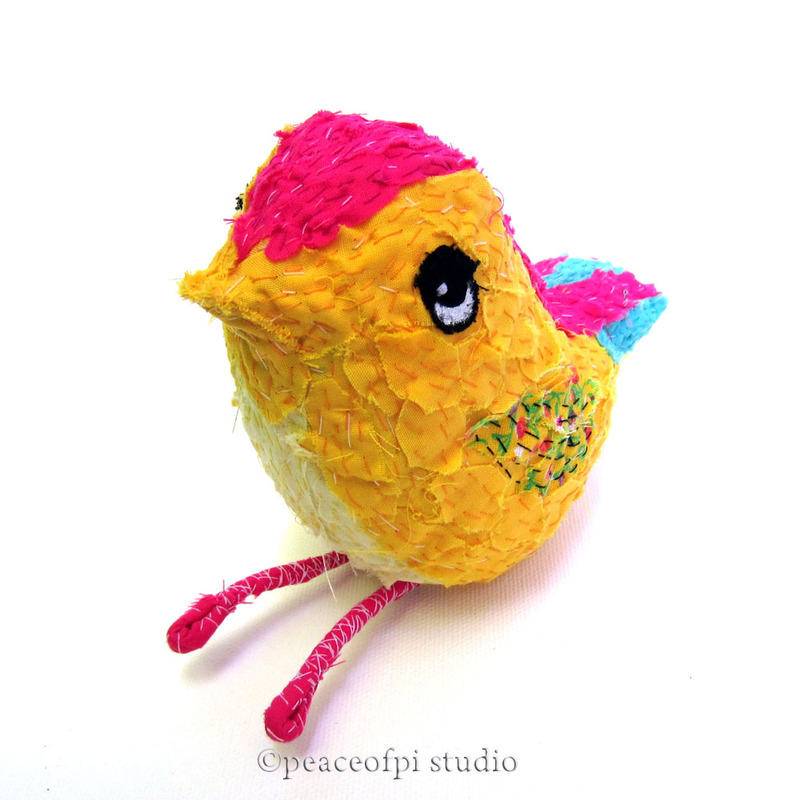 Bits of bright turquoise fabric feathers appear on her tail and vintage floral fabric in yellow makes up her wing. Completing all the hand sewing on this softie bird was time intensive in the extreme, with joy in every stitch!